Jeff Taylor earned his reputation as ‘The Vintage Jeweller’ through his eye-for and ability to source unique, beautiful pieces of antique and pre-owned jewellery. This is not a skill that is developed overnight but rather one that is developed and nurtured/honed over time. Over the last 40 years Jeff has employed his expertise to build an excellent reputation within the jewellery trade, serving treasured customers at vibrant and renowned antique jewellery spots across London from Camden Passage to Portobello Road. 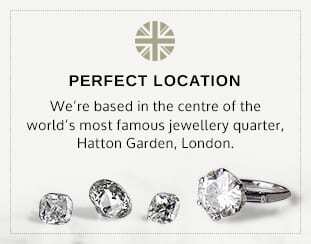 In 2004 the business relocated to its present home in the world’s most prestigious jewellery quarter, Hatton Garden. From this location, Jeff gained unrivalled access to the jewellery needed to serve his ever growing clientele. The year 2006 saw another pivotal moment for the business when Jeff’s son asked if he’d ever heard of a website called eBay. From this point on the business transformed from one with a local presence in London to one with a global outreach. The online marketplace provided us with a platform to serve over 5,000 customers in all corners across the globe maintaining an impressive 99.8% positive customer satisfaction rate. While eBay has been beneficial in connecting the world with our unique collection of antique, vintage and pre-owned designer jewellery, it is the responsibility of any successful business to continue evolving and seek new opportunities. It is this philosophy that lead to the creation of ‘The Vintage Jeweller’; our own project free from third party fees and regulation, allowing us to serve the world precious pieces’ of jewellery at competitive prices. 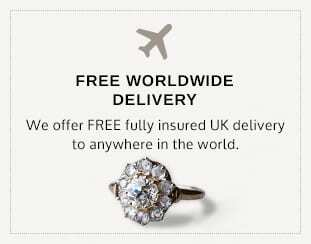 Based in the centre of Hatton Garden, we have access to an extensive range of jewellery on a daily basis. Our collection has been built over many years and is extremely varied. We handpick all of our items and as such we have a very inimitable selection of jewellery. We are constantly adding new stock to the collection, and whilst we have a particular passion for vintage and antique pieces, we carry an extensive and diverse selection of designer, contemporary and fine jewellery. At ‘The Vintage Jeweller’ we understand that for most people buying jewellery is a serious, long-term investment. 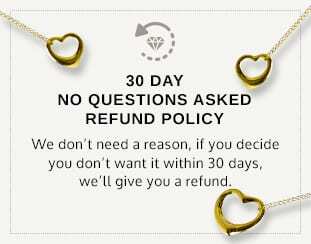 More specifically, we recognise that buying jewellery online, without the luxury of trying the jewellery on for look and feel, can be a daunting experience. Therefore, unlike large retailers, we seek to offer a personalised experience in which customer service and satisfaction lie at the forefront of everything we do. When you pick up the phone or write an email rest assured that you will be speaking to the owners of the business who cherish the values of honesty and transparency. From the moment you land on our website until the checkout we hope to provide a smooth, easy and secure shopping experience. At no point in the purchasing process will we try and force you to buy something that will not satisfy your criteria and, of course, if you are unsatisfied with any of our products for any reason we offer a ‘no-fuss, no-quibbles’ 100% return policy. Our goal is to use our experience and expertise to find the right piece of jewellery for the right person. It is this quality of service and peace of mind that keeps our customers coming back again and again.